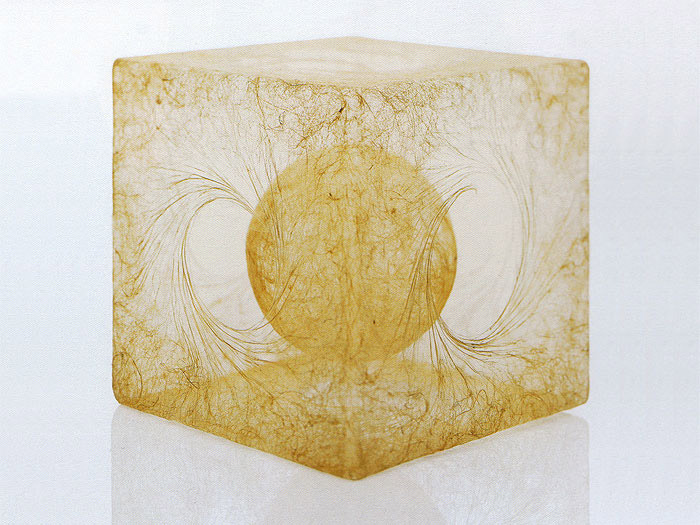 Right now through mid-December there’s an intriguing exhibit at the Japan Society, here in New York, called Fiber Futures: Japan’s Textile Pioneers. I’ve yet to see the show, but the images look very interesting; not your average textile design. One of the artists featured in the show is Naoko Serino whose soft sculptures are quite impressive. 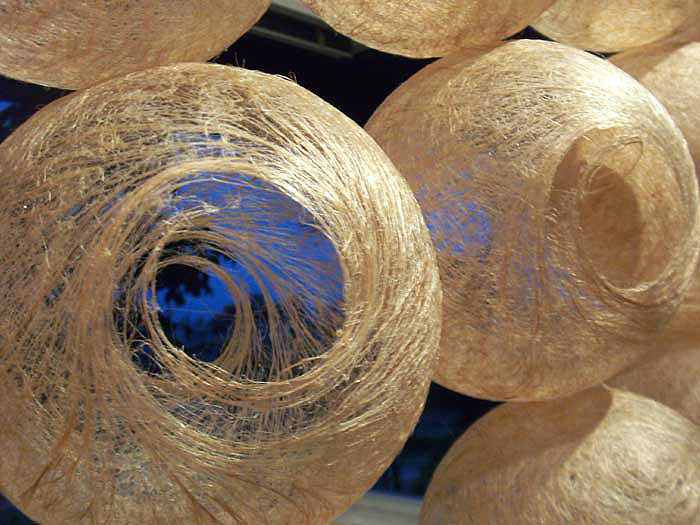 She describes her work as fiber art: three-dimensional expression using jute that contains light and air. Some of her works are small individual pieces, while others are large-scale installations. It all looks delicate yet has an imposing presence. You can see Serino’s installation Generating–8 (third and fourth images down from top) at the Japan Society through December 18, 2011, along with the work of several other Japanese textile pioneers. This entry was posted in Art, Event, Just Plain Cool, NYC, Stuff We Like. Bookmark the permalink.